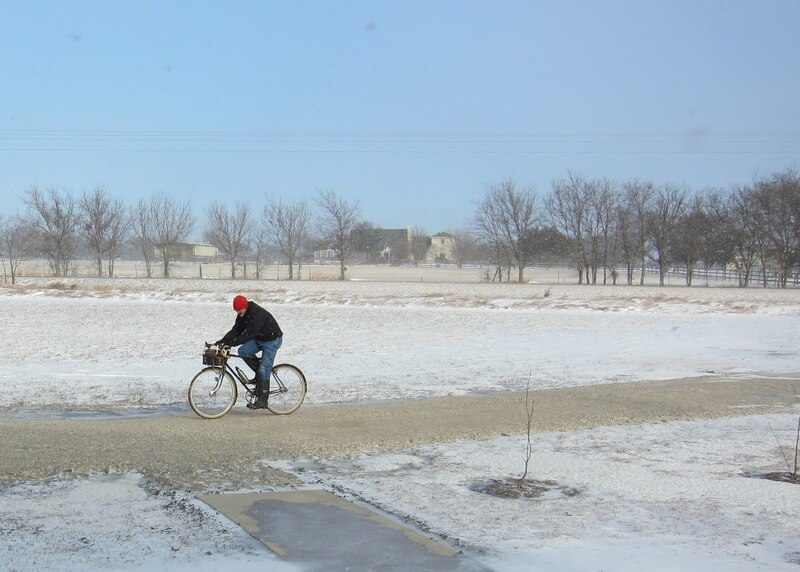 We don’t really do much snow here in north Texas, but we’re pretty good at having a few ice storms every winter. Like last night. Unlike the more common rain followed by a 25-30 degree freeze, something horrible leaked across the Red River into our fair state from somewhere way up north. Something painful. It’s been about 16-18 degrees all day. All the streets are a sheet of ice, and the wind has been blowing at 25-50 mph. I did ride the bike today. I went two hundred feet out to my mailbox, and back. That was enough. You guys up north…you who let winter out of your yard…please come down here, get your winter, and take it back home. And keep it on a better leash from now on.